Power adders come in almost as many options as Baskin-Robbins has flavors. 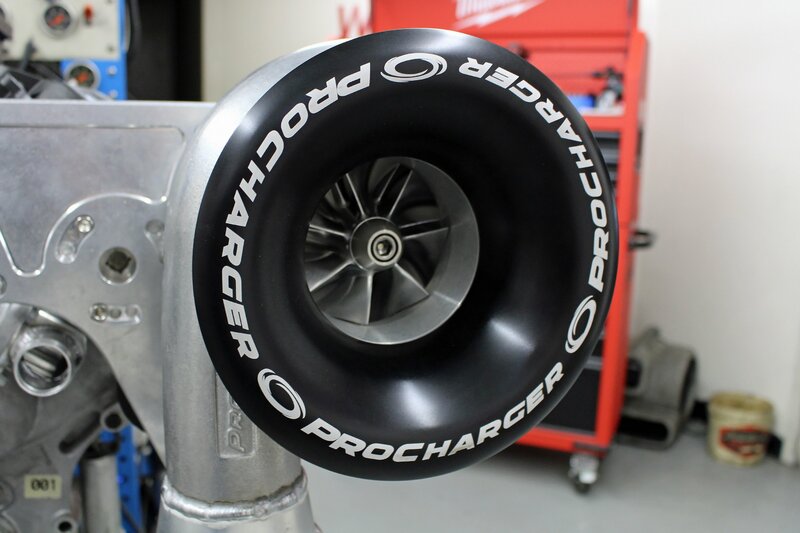 Different types of superchargers, turbos, and nitrous all have their own unique powerbands, though none of them pack the boost response punch of a good ol’ positive-displacement supercharger. 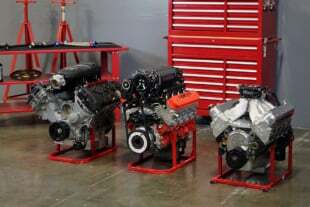 Amongst those companies is a name that’s synonymous with the Mustang’s heritage, and that’s Whipple Superchargers. We tested Whipple’s Gen 2.5 Whipple supercharger on our Coyote test mule. 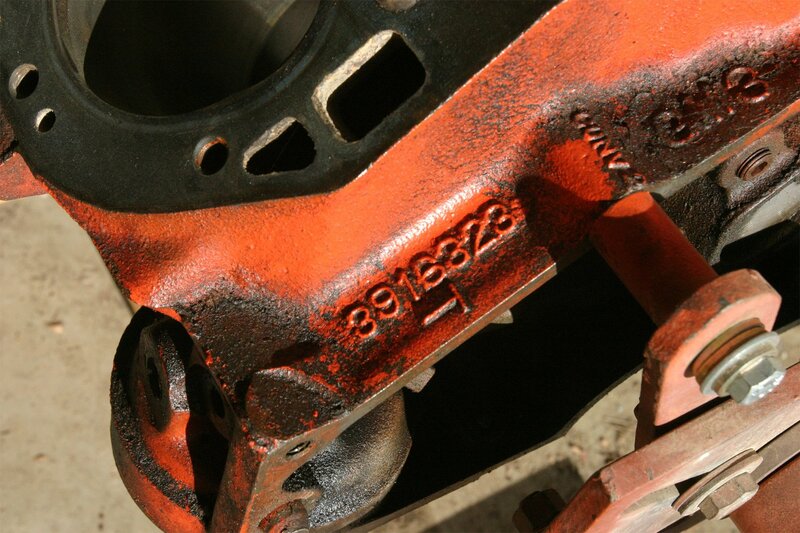 The 2.9-liter blower was equipped with Whipple’s 3-inch, 10-rib pulley. Whipple is family owned and operated company in Fresno, California, since 1987. 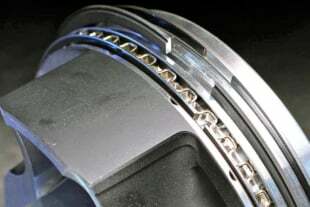 It also develops the rotors, supercharger housings, and kits in the USA. The company has over great 55 team members and are continuing to grow with lots of new kits and products. Whipple is on its third generation of the tried-and-true, twin-screw supercharger. Compact in size, this 2.9-liter rotor group still comfortably fits under the hood of S197 Mustangs. 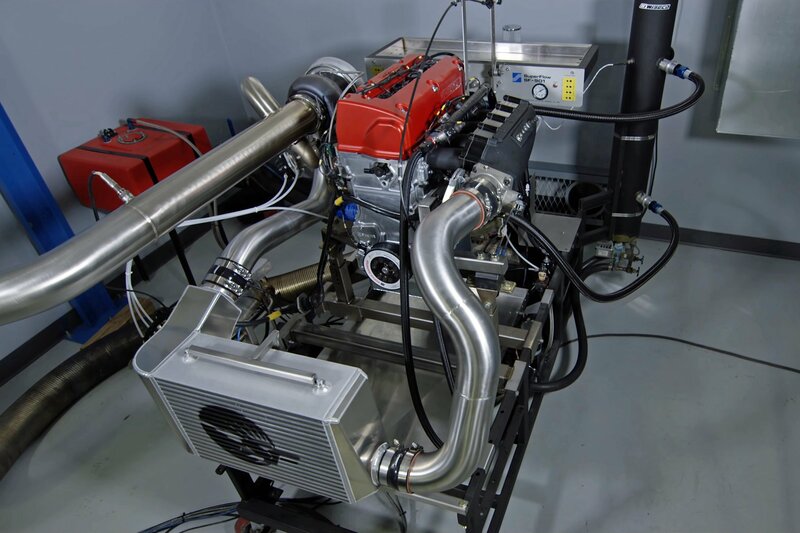 The front-inlet design allows Whipple engineers to easily mate a factory-style cold air inlet and decrease the number of bends required to get air into the supercharger. The rotors must be driven from the rear to allow the air to enter from the front. 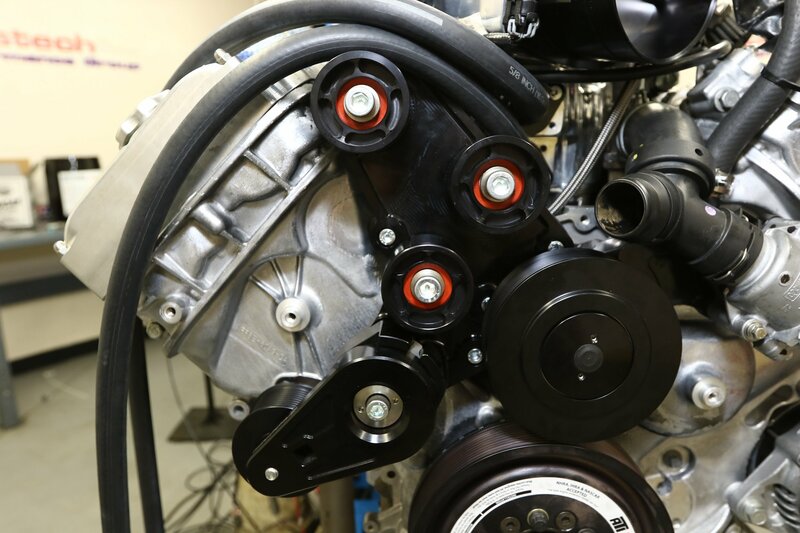 This means a jackshaft system connects between the supercharger drive pulley to the rear gearbox. A benefit of positive displacement is having positive manifold pressure with the sneeze of the accelerator. As those rotors spin together, they increase the speed and pressure as the air travels between them. 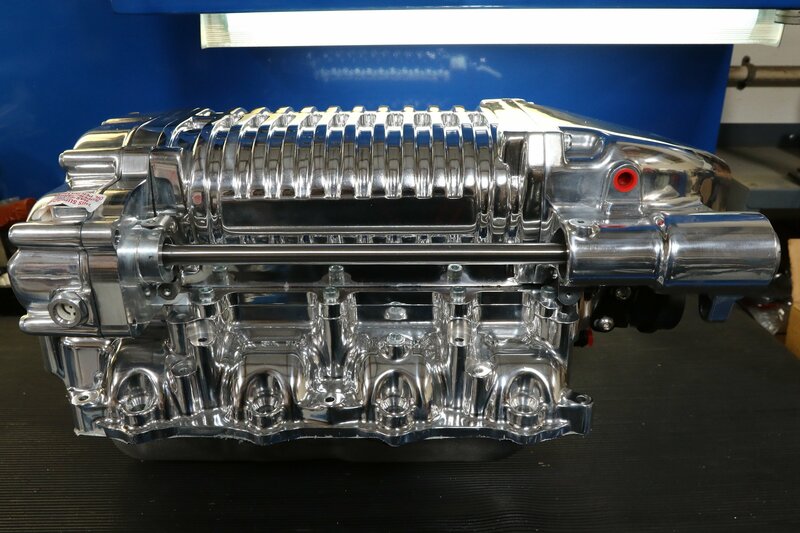 This cutaway helps show exactly what’s going on inside the Whipple supercharger. Air is delivered to the rotors via the front inlet, compressed down, through the intercooler, then back up, and to the runners. Volumetric efficiency and a low reciprocating drag is the name of the game when it comes to making the most out of your power adder. Making the compressor work as efficiently as possible increases the power per pound of boost and reduces heat. Also having a giant air-to-water intercooler core that fills the entire valley helps increase air density before the valve. The denser the air, the more of that boost you’re able to pack into each cylinder. (Top Left) Whipple's Gen 2.5 supercharger was a tweener between their Gen 2 and 3 systems. Now fully converted to Gen 3, the 2.5 included Whipple's new rotor group with the company’s older housing and provided half of the horsepower advantage. The jackshaft system allows for a front air inlet and thus simplifying the air intake plumbing. 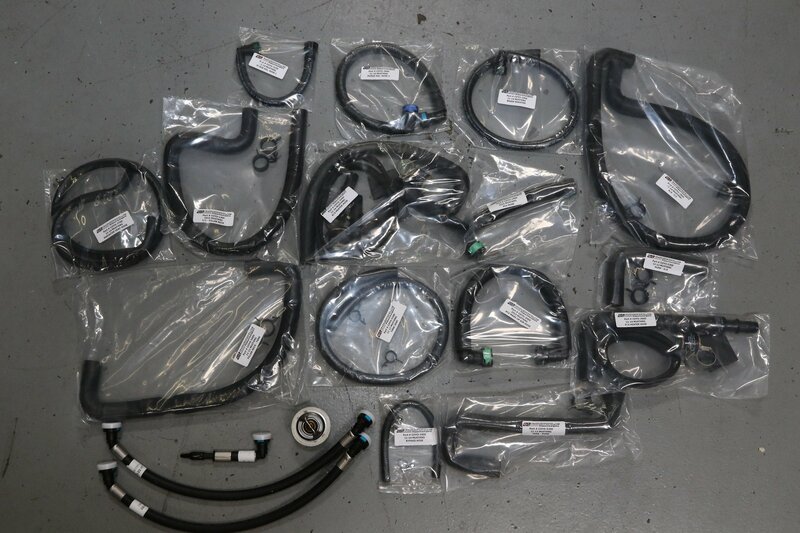 (Top Right) Our 2011-2014 Mustang kit comes complete with fully assembled hoses at the correct length. Each hose is bagged and labeled separately to avoid any confusion of their placement. 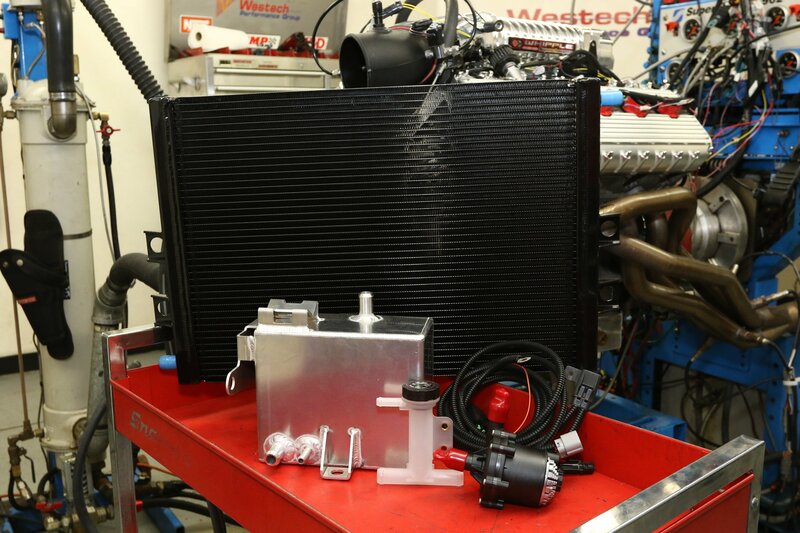 (Bottom Left) Also included with the kit is a heavy-duty heat exchanger, fabricated coolant tank, and high-flow intercooler pump. 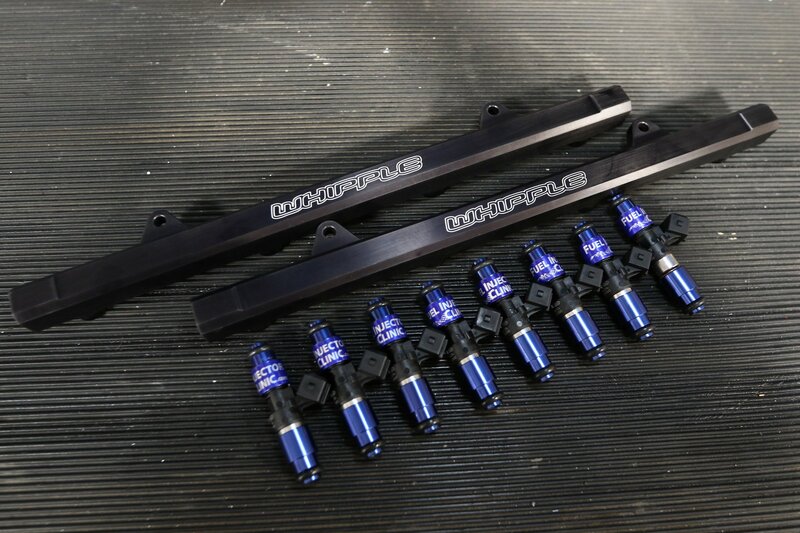 (Bottom Right) New, billet fuel rails are included with their kits and we completed them with Fuel Injector Clinic's 1,650cc injectors. We ran injectors that large because we're running our engine on E85. All new Whipple Stage 1-3 superchargers now feature their new Gen 3 housing and rotor group. But there’s no way this is 50-state CARB legal right? Wrong! All complete Coyote based kits are 50-state legal. Whipple offers their billet elliptical 132mm throttle body on their Stage 3 kits to deliver all the air. A drive-by-wire version of the Roval unit accepts a stock throttle body's drive mechanism, but because we were using a Holley HP standalone, we opted for the cable-driven variant. Regardless of what stage you start with the system is fully modular. 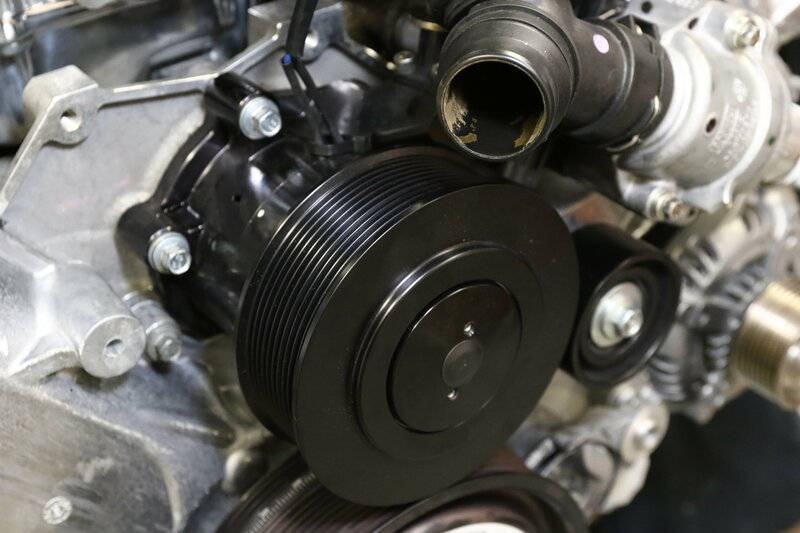 Upgrade to the elliptical throttle or simply change the supercharger pulley, you can lower or increase the power which allows it to fit nearly any application. (Left) When a 20-percent-overdrive ATI damper is paired up with a 3-inch supercharger pulley, the additional four ribs provided by the optional 10-rib upgrade makes a big difference. (Center) We already had a Meziere electric water pump and we were able to easily swap out to a 10-rib idler pulley. The Meziere pump comes with all the accoutrements of the stock water pump system for an easy installation. This pump will help free up some horsepower but also allow us to cycle water through the engine while it’s off. 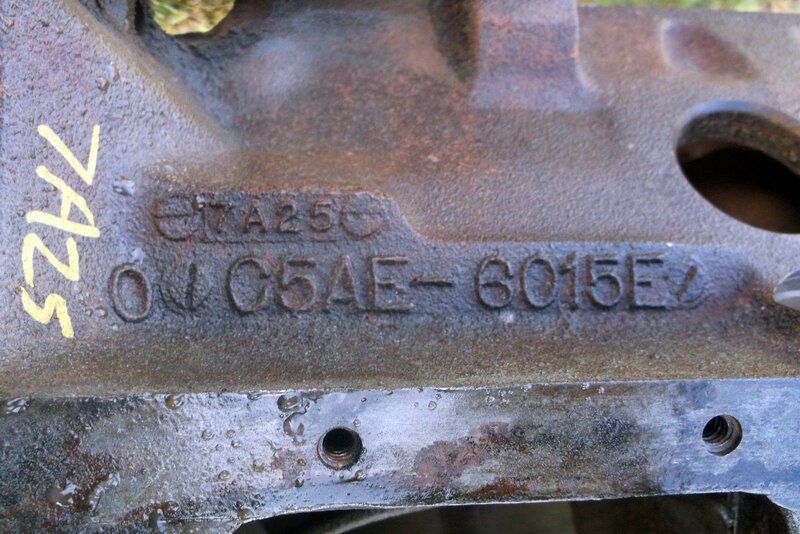 (Right) The Whipple bracket system comes with numbered spacers to ensure belt alignment is dead-nuts. Also included in the 10-rib kit is Whipple's heavy-duty tensioner for increased belt tension. Many supercharger kits on the market will use a stock style, cast auto belt tensioner. To take things to the next level, Whipple decided to engineer its own. 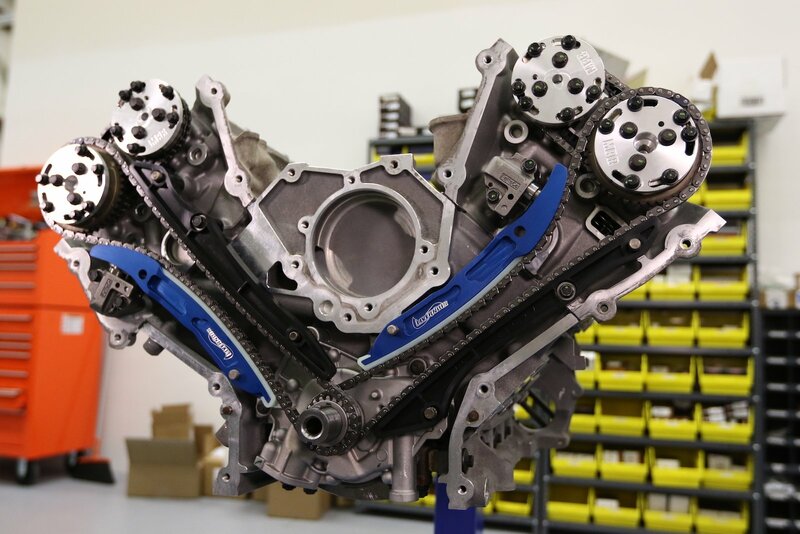 To test the upper limits of the Gen 2.5 Whipple supercharger on a Coyote, we needed to start with a strong foundation. We fortified our Coyote block with Darton dry sleeves by Race Engine Development and then had it fully assembled by MPR Engines. 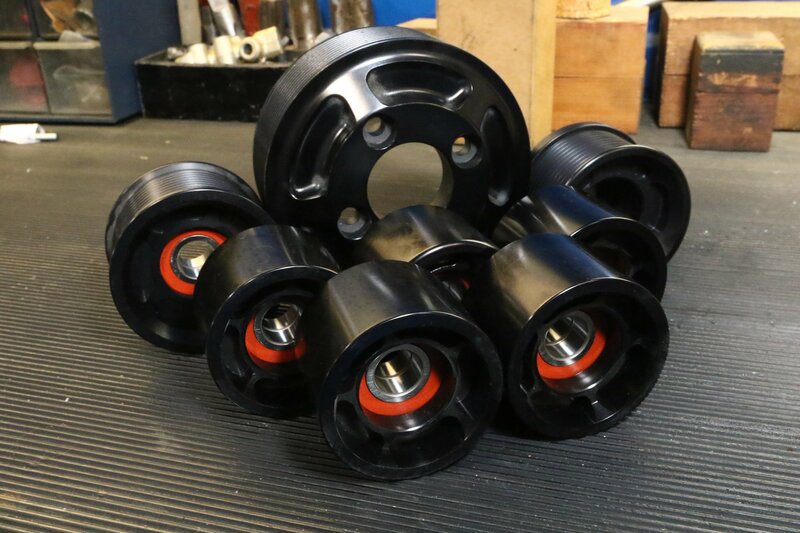 The short-block consists of a new 4340 forged BOSS 302 crankshaft, BoostLine’s all-new 2,000-plus-horsepower-capable forged connecting rods, and 10:1 compression ratio JE Pistons feature an Electroless Nickel treatment along with DLC-coated pins. Since our engine is based on a used F-150 core, our compression ratio came in at 10.6:1 after the heads and block were decked. 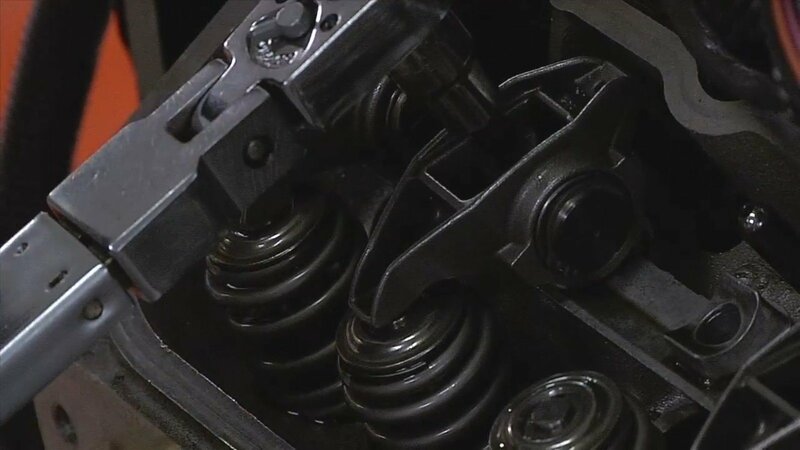 The top end of the engine consists of COMP Cams Stage III blower camshafts, valve springs, and retainers, Ferrea supplied the oversize valves that meld perfectly with MPR’s CNC port and valve jobs. 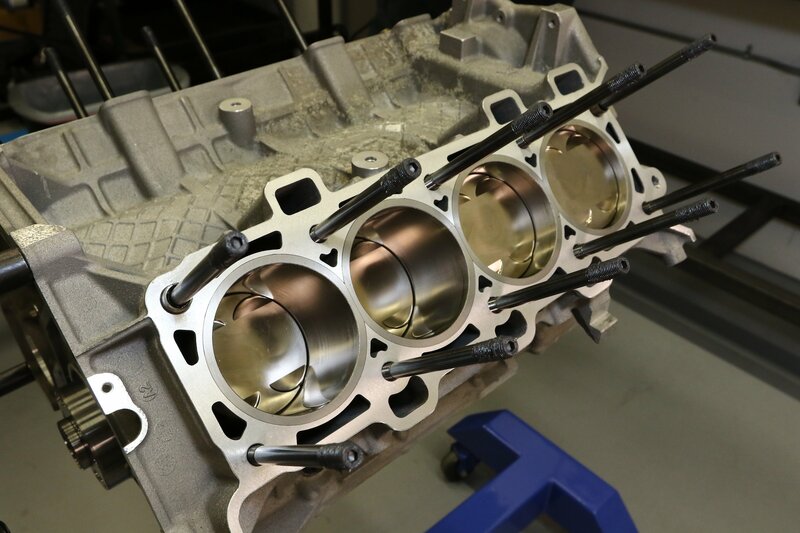 The camshafts are locked out with MPR’s lightweight lockout plates and are supported by Livernois billet chain guides, MPR billet oil pump gears, and MPR front chain drive. The 20-percent-overdrive ATI Performance Products damper that’s setup for a 10-rib configuration properly matches up with Whipple’s 10-rib upgrade for maximum belt traction. Our fully built Coyote was assembled by MPR Engines. 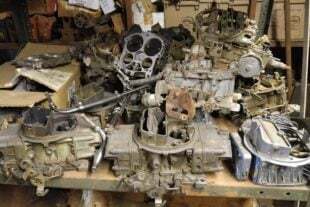 Darton sleeves, JE Pistons, BoostLine connecting rods, and all ARP hardware filled the bottom of the block. 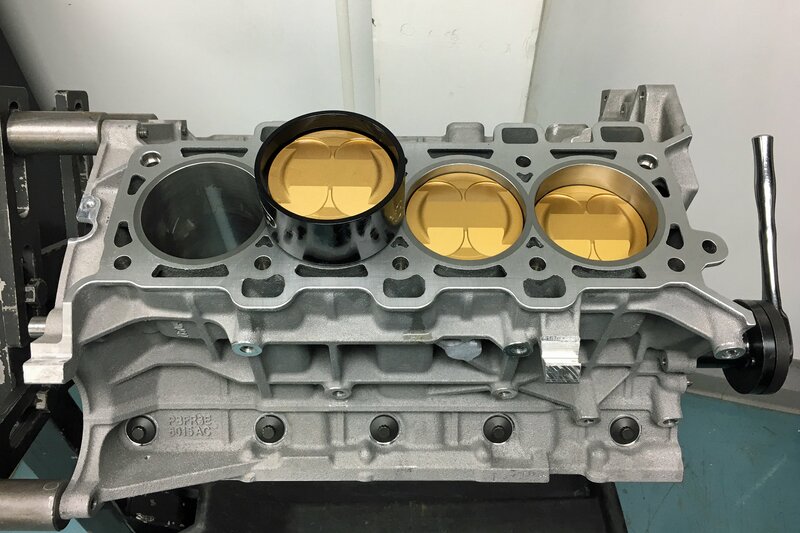 MPR's CNC ported cylinder heads, Ferrea valves, full COMP Cams valvetrain, and all the billet front drive goodies rounded out our long block. 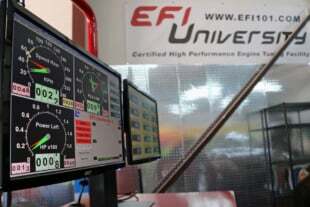 (Left) Our engine has locked out camshafts and is running off Holley's HP standalone EFI system on the dyno at Westech Performance. (Right) Fill and forget it. Whipple utilizes a self-contained oiling system and only requires the oil to be replaced every 75,000-100,000 miles. A sight glass on the side helps make fluid level checking a breeze. 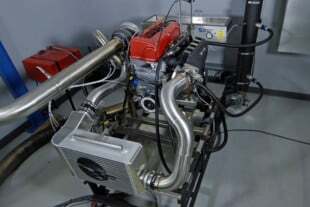 We took our Coyote to Westech Performance for our engine-dyno testing. Due to the power levels we plan to make with our engine, our camshafts were locked out and degreed. The lobe separation angle on our Coyote was set a little wider so we didn’t have to turn the motor so high. 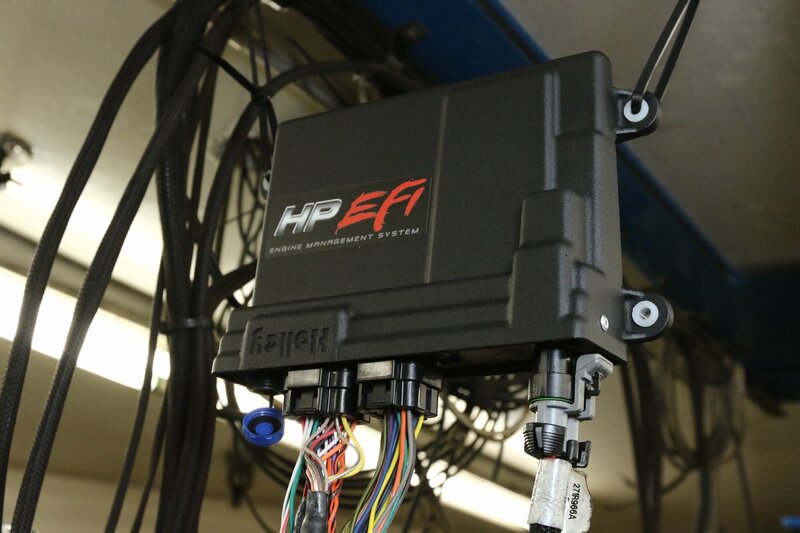 We decided to run the system on Holley’s HP series standalone EFI system. They offer a plug-and-play kit specifically for the Coyote. Rocket Brand provided the E85 fuel that’s pumped by Fuel Injector Clinic’s 1,650cc injectors. Whipple’s smallest recommended supercharger pulley is 2.75-inches for the Coyote application, so we decided to test our engine just above that threshold with the 3-inch pulley. Stratospherically different between our before and after dyno runs. Once Westech had got our air/fuel ratios where we wanted them, we started to add timing and our engine was the happiest with 21 degrees of timing. While we did make 1042 hp on one pull, our average pull ended up at 1028.4 horsepower and 833.3 lb-ft of torque with 20 psi of boost. 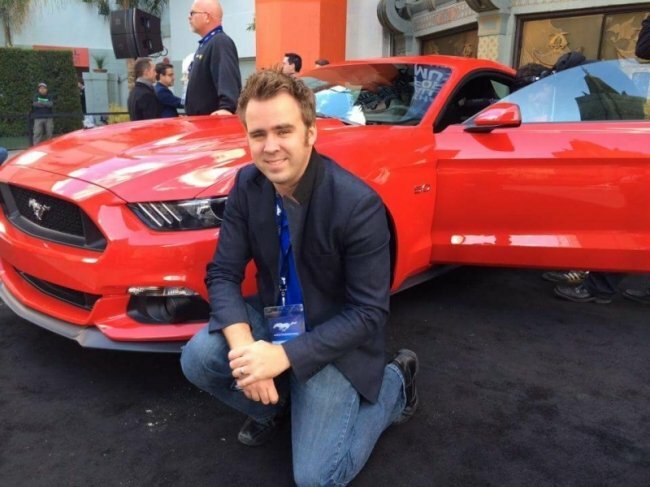 That’s an overall gain of 492.3 horsepower and 453.6 lb-ft of torque. This means our motor was making 24.6 horsepower per pound of boost. We only needed to spin our motor to 7,200 RPM due to our wider LSA and anything beyond that the boost slowly tapered off. Special shout out to Ken Bjonnes of Palm Beach Dyno for helping out with some tech support during our dyno session! 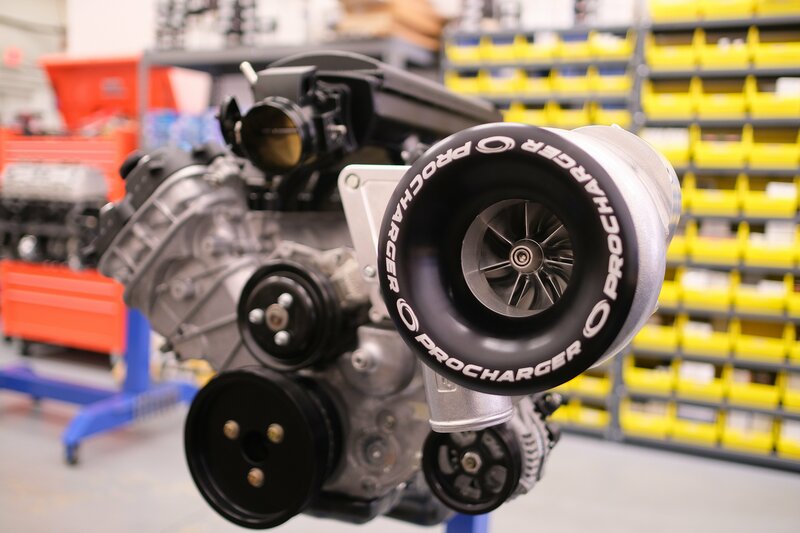 We were able to showcase the potency of Whipple’s Gen 2.5 supercharger with its 3-inch supercharger pulley on our 2013 Coyote dyno mule. 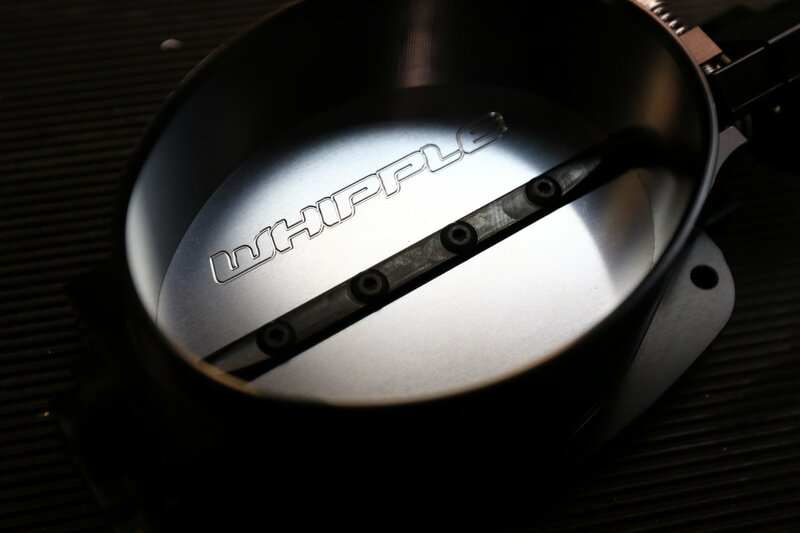 For this looking for the next level of performance from Whipple, don’t fret, Whipple has more in store. “Yes, 100 percent, we’ve got quite a few upgrades coming that will further benefit the entire Coyote market. Stay tuned,” Dustin added.